When I saw Montana’s Margaret Regan at our arts fair she had just soaked her top in water and put it back on. The Ohio heat was stifling and Margaret’s resourceful. She does six to eight shows around the country each year. 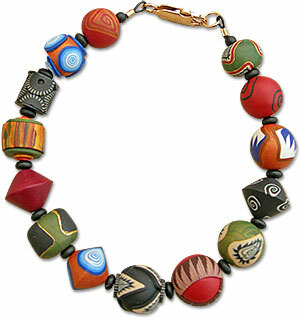 Her polymer clay colors and patterns remain the same while she shifts her jewelry designs to keep customers coming back. Margaret is widely recognized as the creator of the segmented bangle (look on her site to see the design) and the quality of her work has remained remarkably consistent. I wondered how long artists can keep traveling around the country with the price of travel and lodging. She was busy enough that we didn’t have time to chat long but I learned that she tangoes and her husband’s coming out with a book. There’s a bit about Margaret’s history that was recently posted on PolymerArtArchives. Gorgeous work! I didn’t know she was a fellow Montanan, I will have to look her up! Thanks for the gorgeous eyecandy, Cynthia! I love Margaret Regan’s work but finding out information about the shows she will attend is very frustrating. The show schedule on her website is from 2004. She doesn’t seem to have an internet shop or etsy site, does she? Couldn’t find her in the Archives. I took a class from her way back when. Glad she is still pushing the boundries. 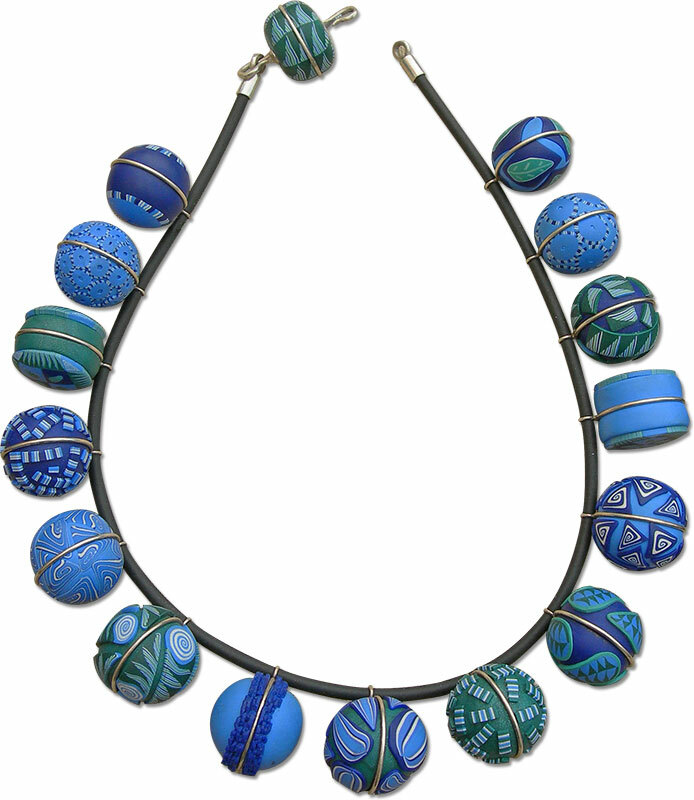 Margaret’s polymer clay colors and patterns are out of this world!!!!!!!!!! !Cynthia thanks for the art you show me everyday.